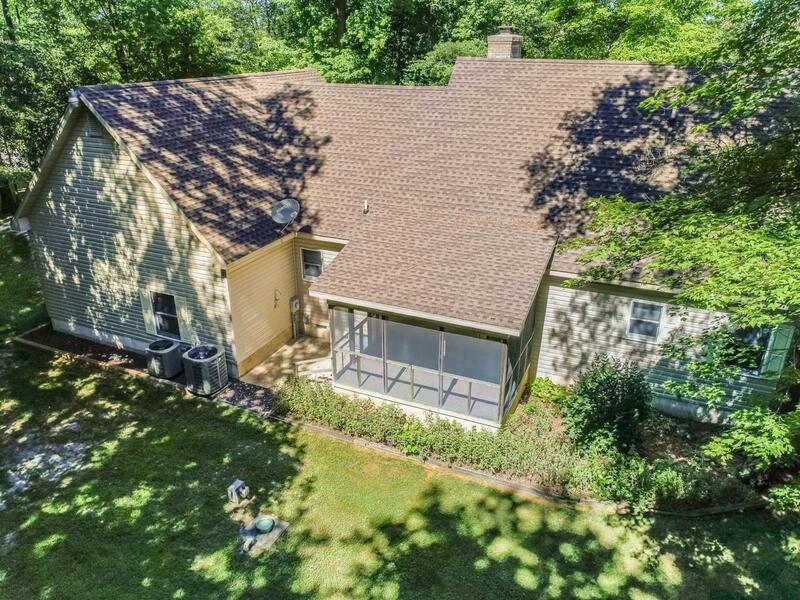 NO HOA & AN OVERSIZED GARAGE! 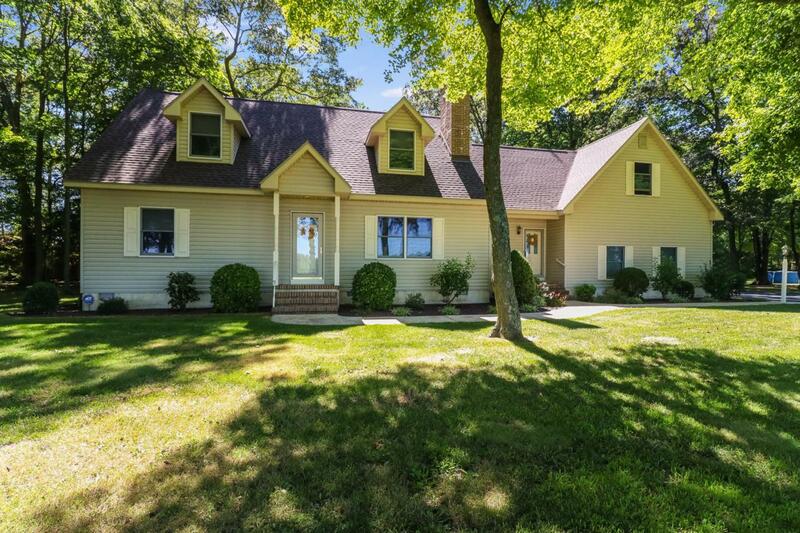 Perfectly placed on over a half acre partially wooded lot, you'll find a custom built home with all of the extras! The master bedroom is thoughtfully placed on the first floor with a recently remodeled bedroom. 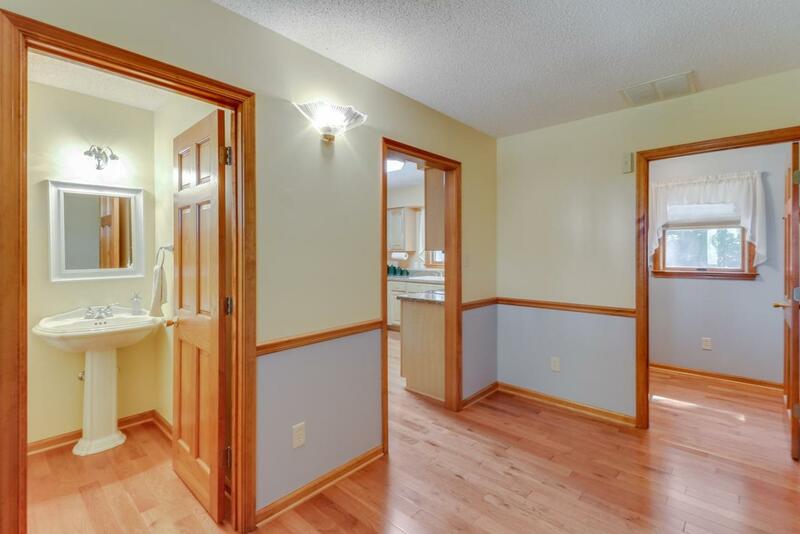 Also on the first floor is a large mudroom, powder room, laundry room, office/2nd bedroom, kitchen, and living room. The living room makes for a cozy time with a wood burning fireplace with built-ins on each side. Upstairs you'll find an additional bedroom, full bathroom, and bonus/rec room. The bonus rec room can easily be made to a 4th bedroom. THE GARAGE is to die for! Room for 2 full cars, a side storage area for your toys, separate work area, and tucked above the garage is a HUGE walk up storage area! This room is ready to be finished-it has been drywalled and provides great storage. A screened in porch and a shed make this home the full package. 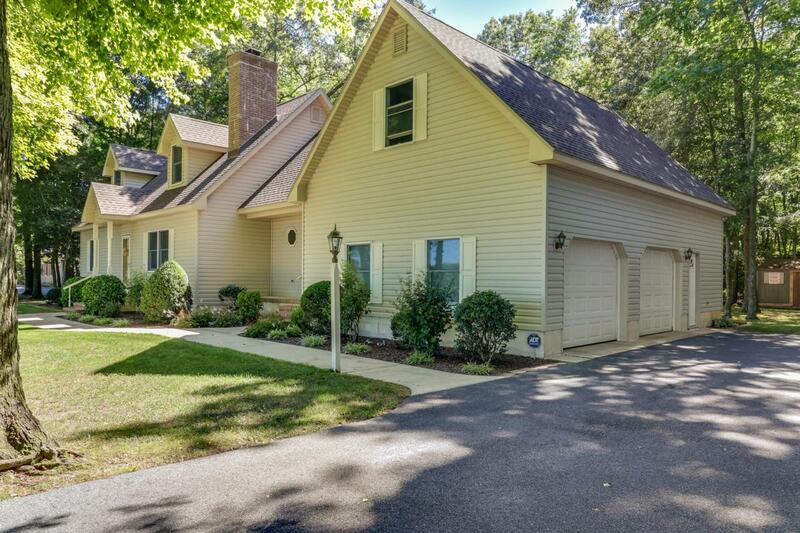 UPGRADES- hardwood floors, NEW roof, NEW heat/AC, NEW stainless appliances, NEW master bathroom, 2x6 walls, full foundation block down the center wall rather than pilings. The land across from the home as seen in pictures is in farmland preservation.